Amid the US Open hype, we think you may have missed some other significant moments. The drama of the 2015 US Open meant all of us were slightly guilty of neglecting anything that didn’t concern debatable golf greens. From Gary Player’s contempt for the Chambers Bay course to Dustin Johnson’s three-putt, we were consumed by a rather unconventional major. So, you might know Jordan Spieth’s winning score but could you tell us which British amateur turned pro? Maybe you can remember the aggregate score of Tiger Woods’ and Rickie Fowler’s first round, but you might not know which Frenchman broke Scottish hearts at the Amateur Championship. If you didn’t catch much of the coverage from Chambers Bay, you might not have noticed new host broadcaster Fox’s bright ideas. Having acquired rights from NBC, they decided to ramp up the level of audience engagement. Enter the drones. Hovering overhead, they were able to capture the action in ways normally reserved for other sports. Add to the mix remote control cars following the players along the course and you have a very 21st century major championship. What would the purists say? 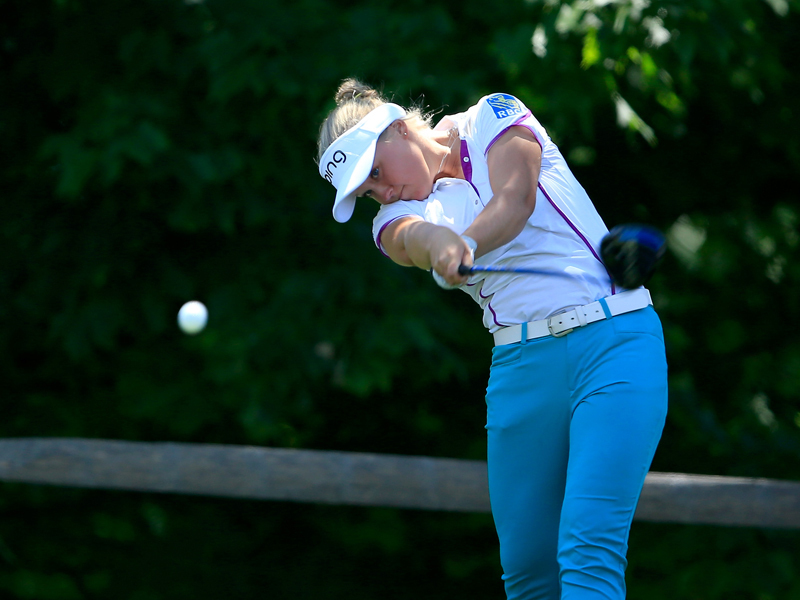 She may only be 17 years old, but Brooke Henderson is a name you need to know. Canada has high hopes for her after she won the Four Winds Invitational on the Symetra Tour and maintained her push to join the LPGA Tour. A T5 finish at the KPMG Women’s PGA Championship last week gave added substance to her ambitions. Finishing ahead of the Manulife LPGA Classic winner Suzann Pettersen and world no. 2 Lydia Ko, Henderson looks the real deal. Make a note of the name. The young Scot can rejoice. No longer will he be referred to as ‘amateur Bradley Neil’. He missed the cut at the US Open, but will play in his first professional tournament at the Scottish Hydro Challenge this week. Neil, who took part in this year’s Masters as well, won the Amateur Championship at Royal Portrush last year. He partnered the 2009 US Open champion Lucas Glover and Marc Leishman at Chambers Bay on Thursday and Friday. Here’s to many more major appearances. Romain Langasque has nerve. To beat a Scot in the Amateur Championship at Carnoustie is brave. To beat two is the work of a madman. The Frenchman knew, however, that exemption to next month’s Open was on offer. That’s why victory over Jack McDonald in the semi-final and Grant Forrest in the final meant so much. In his post-match interview he couldn’t hide his excitement at the prospect of teeing off on the same course as Rory McIlroy. Langasque is ranked 72nd in the amateur rankings. He’ll feel like he’s 72nd in the world rankings after securing his place at St Andrews.